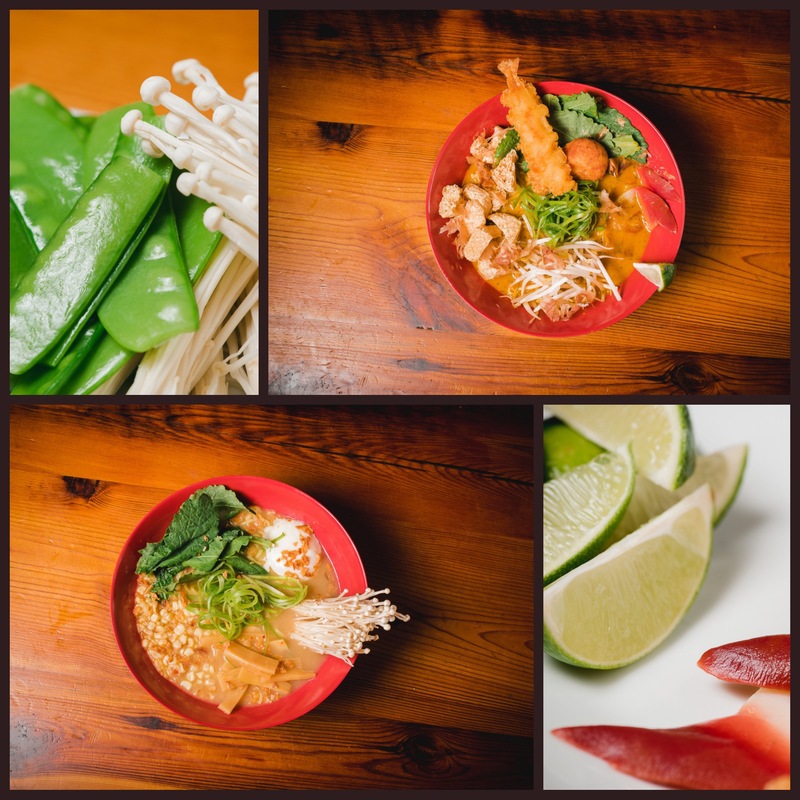 There are so many ways to enjoy a ramen bowl, especially when you can build your own at Ejji. What most people don’t know is that there is a method to the madness. 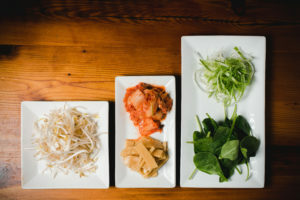 It is no coincidence that certain types of noodles are often paired with different broths. Ramen chefs specialize in what suits most taste palettes, and we’re going to let you in on the secrets. 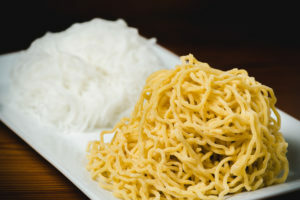 Traditionally, the golden rule for thick noodles is: the thinner the broth, the thicker the noodle. Miso ramen is the star of the show when it comes to following this rule. Thicker noodles are paired with miso, because they best capture the nuttiness of the fermented soybean found in miso broth. Thick and curly noodles absorb more miso broth in each bite than thin and straight noodles do, sending little jolts of happiness to each of your tastebuds. Thin and curly noodles are perfect for thicker broths like Tonkotsu or Tsukemen, because of how the broth is held within each curl. Thin and straight noodles tend to stick together. When the noodles stick together this way, they create a scoop shape that allows delicious broth to be trapped up in every bite. 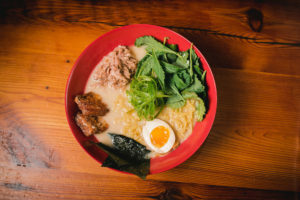 However, thinner noodles don’t normally absorb as much broth as thicker noodles, which can give you the perfect excuse to order more noodles to finish off your broth. Take a look at our menu to see what other bold toppings Ejji has to offer.